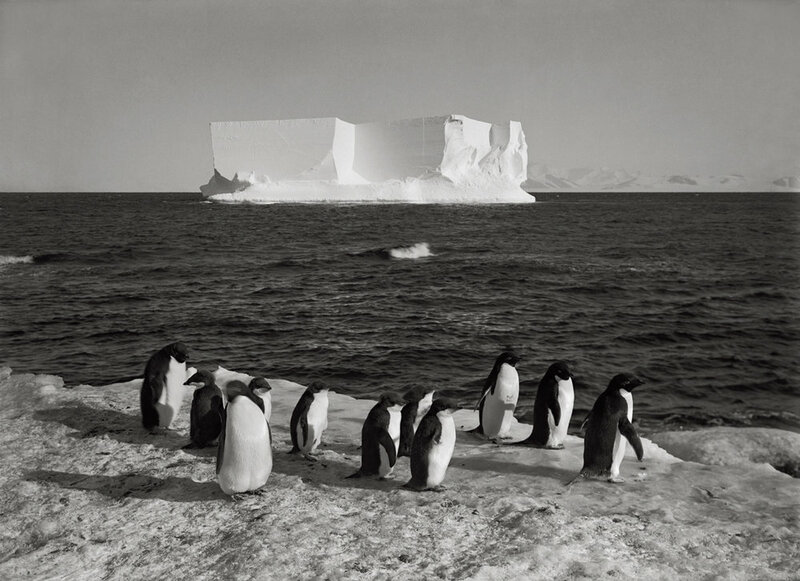 Gallery Vassie is extremely proud to present the monumentally, magical images of Antarctica by Herbert Ponting (1870-1935). He was already a world travelling, pioneering photographer and travel writer when, in 1909, he met British explorer Captain Robert Falcon Scott (1868-1912). Impressed with Ponting’s credentials and manner, Scott asked him to document his expedition to the South Pole - the most elusive prize of exploration at that time. Ponting was born into a family that could trace its lineage all the way back to Elizabethan times. He had already freelanced his way around the world, photographing China, India, Japan, Spain, the Alps and the USA. 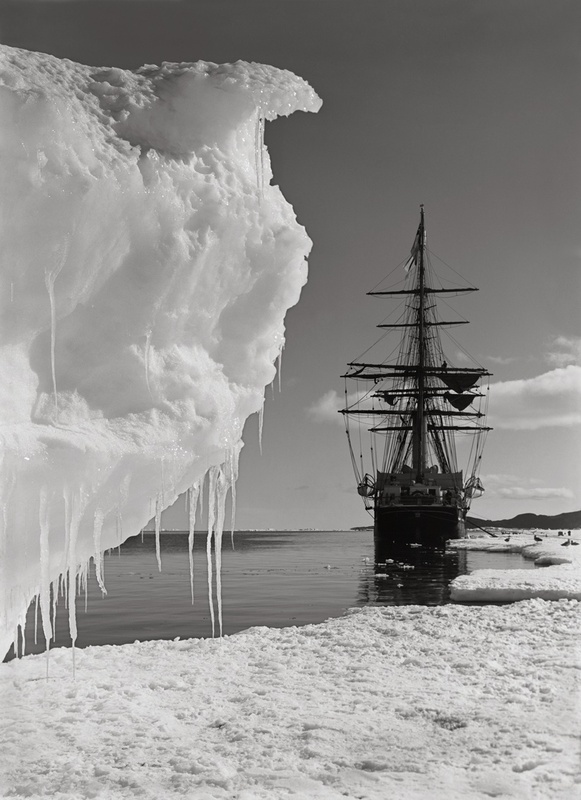 At the age of 40, Ponting joined the Terra Nova crew to embark on an academic voyage to Antarctica, to become the first professional photographer to join a polar expedition. One hundred years later, it remains imprinted in the public’s consciousness - the race to reach the pole before rival Norwegian explorer Roald Amundsen. Tragically, Scott missed his mark by one month and despite Herculean efforts, perished with four members of his party on the return trip during a ferocious blizzard. Scott was destined never to return from Antarctica, but Ponting did and with a great many still photographs as well as motion pictures. 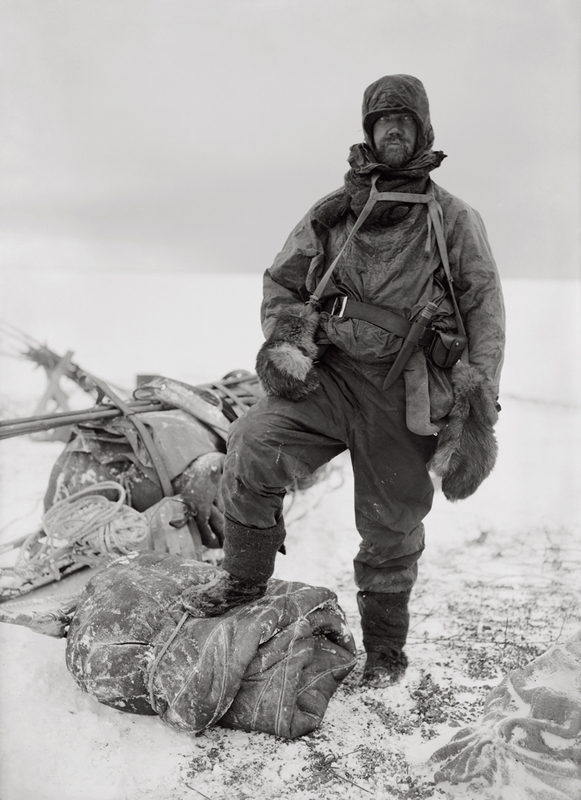 Others have immortalized in words the heroism of Scott’s doomed venture, but Herbert Ponting’s cameras recorded for the world the actual appearance of the explorers – of their way of life, and of that “thrilling region of thick ribbed ice” through which they struggled so gallantly and so vainly. Ponting was a photographic pioneer-adventurer whose photographs were taken often at great risk and always with primitive equipment. He was not only an exceptional photographer; he was also an extraordinary writer – abundantly visual and acutely insightful. His account documents Scott’s spectacular failure but, equally important, records a firsthand perspective of the experiences of those who, like Ponting, stayed on the Terra Nova base camp. They faced the same brutal landscapes and subzero temperatures as Scott and the same perils. During this adventure, Ponting himself was attacked by eight killer whales. 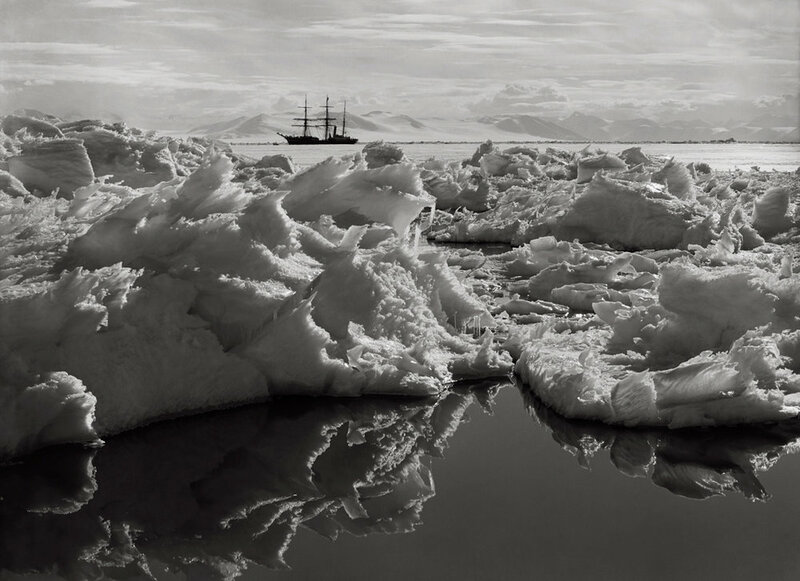 Through his dramatic images, Ponting invites the viewer to encounter the legendary expedition with an intimacy and immediacy available in no other visual experience. These images reveal Ponting not only as one of the world’s great pioneers, but also as one of the great masters of the camera. Ponting’s monumental photographs of the barren vastness of endless ice, stand as a timeless and universal emblem of human endeavour. Against the dramatic backdrop of Antarctica, they remain, without doubt, an incredible record of one of the greatest adventures and exploration stories of all time.